Each jewelry piece states it's production metal in the product description. Depending on how you treat your jewelry, it can determine whether your jewelry lasts years or months. The use of fluids (perfume, oils, lotions) on or near the jewelry or on the part of your skin where you wear the jewelry on can produce tarnishing. Sterling silver/.925 Sterling Silver - Do require some care, however, if it becomes tarnished, it is usually removable by using a simple dry cloth. The best way to prevent tarnishing on sterling silver is store it in a tiny bag (offered by us) or to just wear it. Gold-plated/Brass: Requires the same amount of care as simple costume jewelry. Since it is not karat gold, it will and can tarnish over time.However, if you keep it away from perfume,liquid, and oils it can last much longer than costume jewelry.Please store your gold plated jewelry in tiny plastic bags when not in use. Rhodium Plated: Is stated not to tarnish but anything is possible. Our rhodium plated over brass or copper pieces can become dull with time(after 12 months of everyday wear), but if you just shine it with a silk cloth, it clears it right up. Rhodium plating on top of Sterling Silver doesn't often dull but still can get nicks if hit against rough objects. Stainless Steel, Titanium, Aluminum: Metals like stainless steel,titanium, and aluminum are tarnish proof. 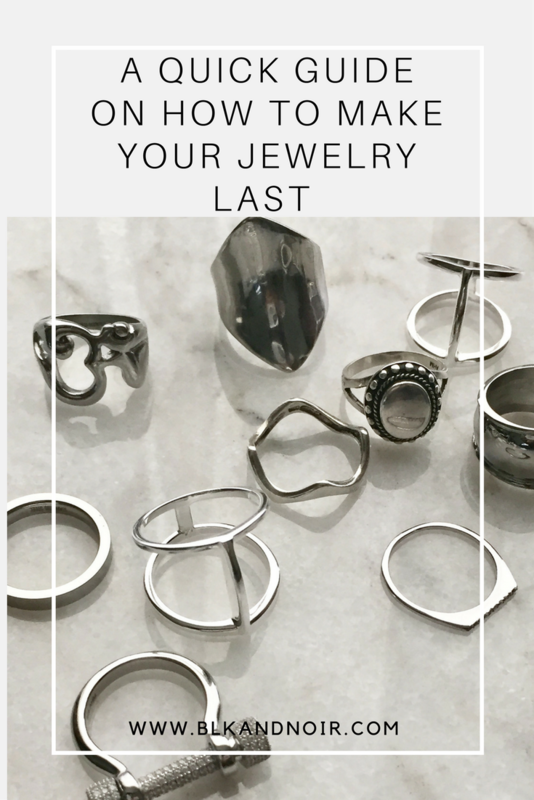 Stainless steel and titanium are one of most durable metals in wearable jewelry. Besides light scratches, these metals will look always look like new. Lapis Lazuli: Lapis is a very soft stone on the hardness scale. Do not submerge in water or it will damage the stone. Crystals: Sunlight can change/fade a crystals colors. Do not put in direct sunlight or UV light. Amethyst/Rubies/Aquamarine/Garnet: Amethyst is also affected by sunlight and can cause the stone to change colors or fade away. Washing with a cloth or toothbrush is fine to clean this stone. We will add more gemstone information as we add more gemstone jewelry pieces to the store. We do not recommend professional jewelry cleaner on most metals. There are many safer ways to clean your jewelry without the use of harsh chemicals. For sterling silver, gold filled, karat gold, pewter and other non-plated metals; we recommend the option of using a SOFT satin cloth(similar to ones meant to clean glasses' lenses),a pro polish pad or sunshine polish cloth. For really dirty jewelry(filled with dirt, gunk, dust), we recommend a sonic cleaner (You can find one around $30 on Amazon). You can add soap and water and put your dirty jewelry inside. Sonic cleaners work by using sonic vibrations that remove the dirt from your jewelry. Movement: Remove jewelry when you are doing activities such as swimming, exercising with equipment,heavy lifting, amusement parks rides(random), or anything with a lot of movements.You don't want your jewelry to get hit, caught, lost. Just treat your jewelry with care and it will treat you back with its beauty.If it seems like a bad idea, don't do it.